Want to know more about Influencer Marketing and why it is trending currently? Are you also looking for the best ways to implement influencer marketing in your next digital marketing campaign? Well, you have come to the right place. “Influencer marketing is a successful way to reach out to and get involved with online audiences. In simpler words, Influencer Marketing includes reaching out to a specific group of people who have an impressive fan following on a digital platform, to increase brand awareness. Connecting with these digital influencers will help you reach a new audience with relatively lesser effort, at a marginally lesser cost, when compared to the traditional sources of advertising. Read to know why Influencer Marketing is a game changer for your business. Why go for Influencer Marketing? One of the primary reasons why influencer marketing has become extremely popular among brands and digital marketers is its ability to bring excellent returns for your campaign. According to Linqia’s latest research, when marketers who used influencer marketing in 2017 were asked to review it, 92% of them said they found it effective. Furthermore, 39% of marketers plan to increase their influencer marketing budget in 2018, which in itself shows the marketers’ expectations from influencer marketing. Another reason why marketers nowadays prefer influencer marketing over traditional digital advertising is the budget-friendly nature of the former, with micro influencers charging anything between INR 1000 to INR 15,000 per post/video on a single digital platform. Also, given the algorithm changes that Facebook introduced a few months prior, influencers are now the only way a brand can organically reach its desired audience and garner feedback for their product or service, in a short amount of time. Influencer marketing also gives you the option of choosing whom to target, which works as an advantage for a brand that has a niche audience. Now, are you tempted to try influencer marketing? Also, do take a look at the four things that Influencer Marketing can help you achieve. I would suggest that you first ask yourself the following question – will influencer marketing be relevant to my brand? If yes, then go ahead and give influencer marketing a try. Is it lead generation, increase in sales or higher engagement? Alternatively, more clicks to conversion rate? Based on your goal, you will have to filter and choose which influencer will best suit your campaign. 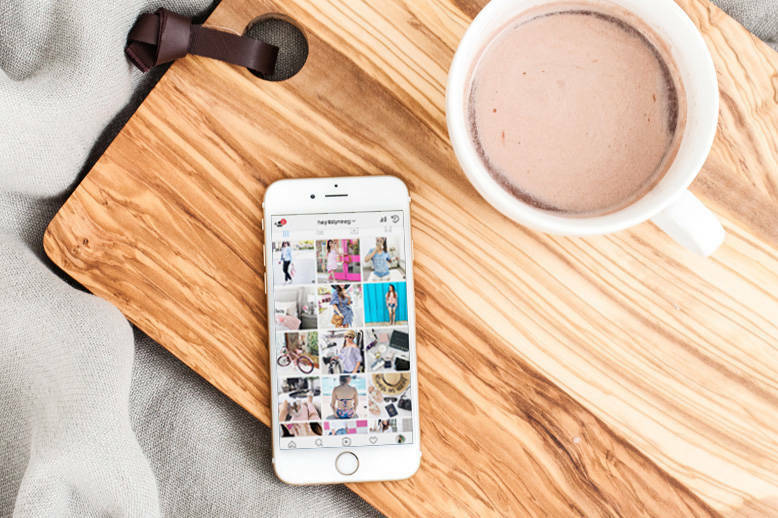 A supermarket brand will prefer to collaborate with food bloggers, whereas a fashion brand will prefer to engage with lifestyle influencers, bloggers and vloggers. Collaborations with genre-based influencers have become extremely popular nowadays as brands find it easy to target a niche and increase brand awareness among that specific group, as they are sure that the targeted group will be interested in their brand and their products/services. Sharing an example of popular lifestyle vlogger and Instagram influencer Scherezade Shroff, who collaborated with H&M, Lifestyle and Shoppers Stop in a span of just six months. Sharing her favourite picks from the stores with her followers, Shroff is one among many such influencers whom brands collaborate with, for quick brand awareness and product/service introduction. The next step is to finalize a budget that will include the cost of the influencers, the product/service cost if you are asking the influencer to review them, funds spent on influencer marketing tools, and contest prizes if you are hosting one. Your budget will help you decide between a micro and a macro influencer. It will also help you decide the number of influencers to select, and the number of digital platforms to target. Avoid spending too much on an influencer marketing campaign, as it could affect your ROI immensely. Which digital mediums are you targeting? Deciding which digital platforms to target for your campaign is an important task. Each platform has its pros and cons, and both should be taken into consideration before deciding which medium your brand should finally go ahead with. You should choose a minimum of 1 platform and a maximum of 3-4 platforms for your digital marketing campaign. Also, don’t forget to check if the platform you are targeting will surely help you reach your goals, with lesser effort. For example, a jewellery brand whose purpose is to increase its sales by 100% through their new campaign, should avoid Twitter and instead, focus on platforms that encourage businesses, such as Facebook, Instagram and Pinterest. You can also target newer platforms such as Musical.ly which is also popular among other social platforms creating multiple effects. Trying newer platforms can work to your advantage in many ways. Just ensure that there is a healthy mix of popular and newer platforms for your digital marketing campaign. Once your campaign goals, budget and targeted digital platforms are finalized, it is time to begin research on the selected digital platforms for influencers who are the most engaging, have a great reach, are popular among their audience and other brands alike. The easy way is to check which influencers your competitors working with, as it will help you get an idea of the type of influencers you should work with. It is always wise to get in touch with an influencer agency before you begin working on your campaign, as they will be able to guide you expertly on which influencer to collaborate with and who will be able to help you reach your goals, within your budget. Also, an expert will help you understand the worth of an influencer and his/her content, and will help you avoid any monetary wastage. It is a significant step that shouldn’t be missed. As a brand, you should always give more time and importance to briefing your influencer well, over everything else. An influencer who has not understood your brief correctly, or has been misinformed, will ruin your campaign, turning time and effort to waste. Also, as your campaign is real-time, any mistakes that occur will remain for everyone to see, which could prove to be disastrous. One such extremely popular example of wrong influencer briefing is the 2015 #CelebratingJio influencer marketing campaign. When Jio launched the much awaited 4G telecom service in India, they arranged to have hundreds of macro and micro influencers, including various Bollywood celebrities, tweet a congratulatory message to Jio, at the same time, from all over India. However, Jio made a key error of making all influencers post the same content. The campaign had 70,000 tweets generating 51,348,538 impressions, but the tweeting looked more like spam and less like a strategized influencer marketing campaign. To avoid such a situation, brief your influencer about the goal of your campaign, the reason why you chose them for the campaign, what your expectations are – from the campaign and from them, the date and timings of the campaign, what they have to post and whom they have to tag, the hashtags to use, and if they can modify the content that they have been asked to post. Don’t forget to address their queries as well. Most brands forget to ask the influencers about their queries, which leads to mistakes when the campaign is live. If you are interested in going ahead with an influencer marketing campaign for your brand, do get in touch with us here. GreenroomNow is an influencer marketing agency, which has a plethora of influencers connected to them. We have worked on various popular influencer campaigns, such as the Fab India – Indigo campaign, the Titan Raaga #RagaXMasaba campaign, and the Magnum #TakePleasureSeriously campaign. Do you know why influencer marketing is trending currently? Simple! It is a newer way for brands to get a better ROI on their campaigns, at a cost that is marginally cheaper than other modes of advertising. So, now you know how to begin an Influencer marketing campaign. Make sure you know your campaign goals and your budget. Once you have finalized that, you can move on to choosing a platform for your campaign, such as Facebook, Twitter, Instagram, Pinterest, etc. Research about each of the platforms, and then, learn about the relevant influencers who are popular on your chosen platforms. Advisably, get in touch with an influencer agency, who will help you find the best influencers for your campaign. Finally, brief the chosen influencers about your campaign goals for desired results. So, how interested are you in launching an influencer marketing campaign next?